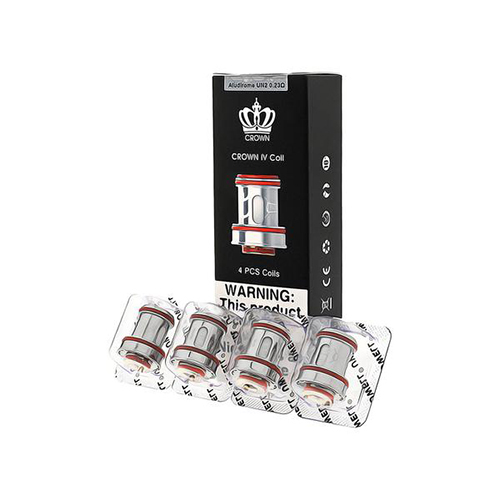 Aside from the high quality Stainless Steel coils that are included with the Crown 4, Uwell has crafted the Uwell Crown 4 Mesh Replacement Coils that are made of other durable metals. The Uwell Crown 4 Mesh Replacement Coils, or UN2 FeCrAl coils, are composed of Iron, Chromium, and Aluminium. These metals are bonded together and then manufactured into a mesh design to deliver a vaping experience like nothing else on the market to date. These UN2 atomiser heads have a resistance of 0.23 ohm and are rated for use between 60-70W.